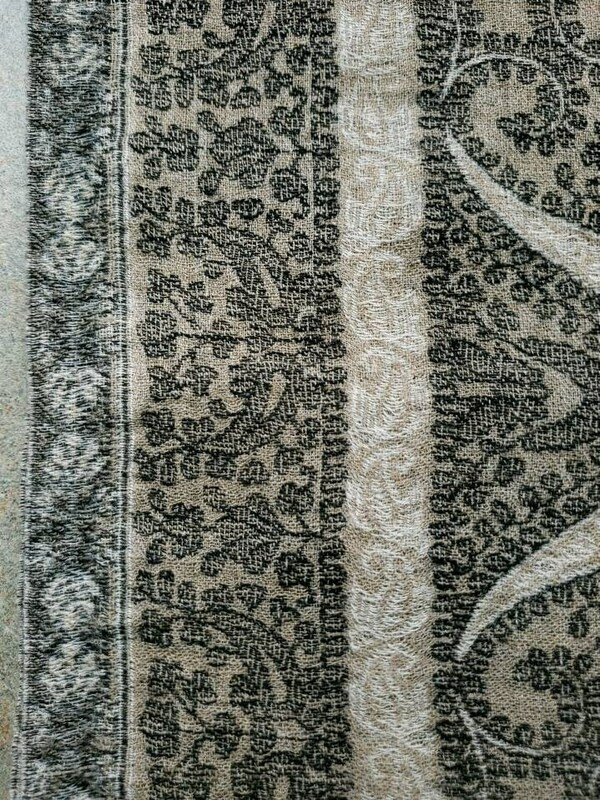 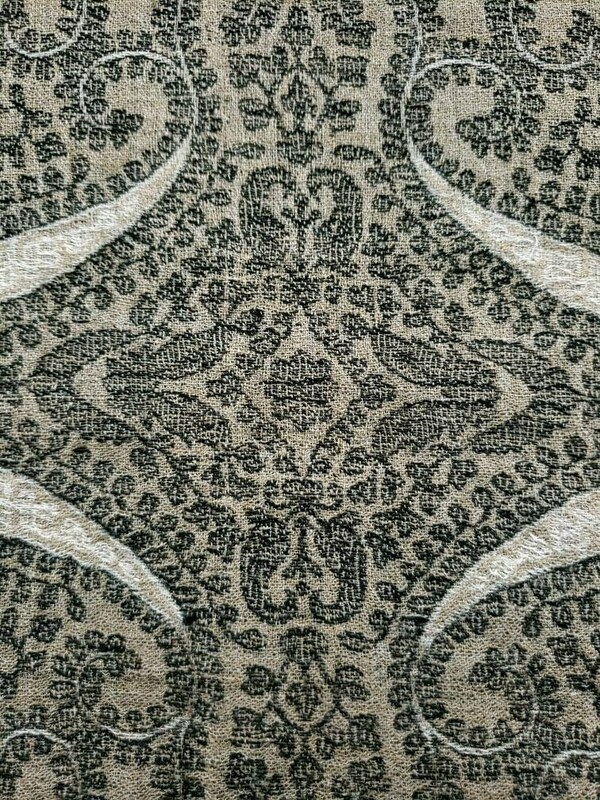 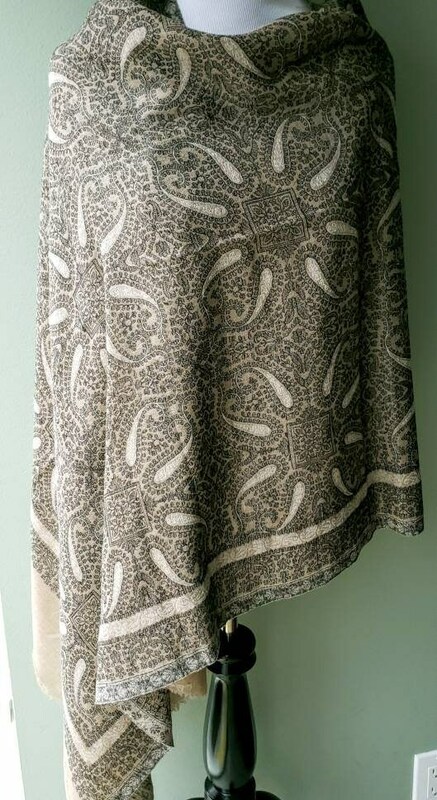 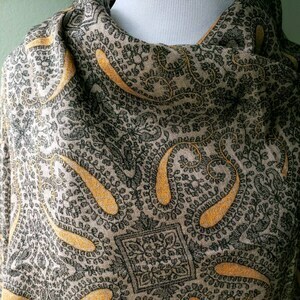 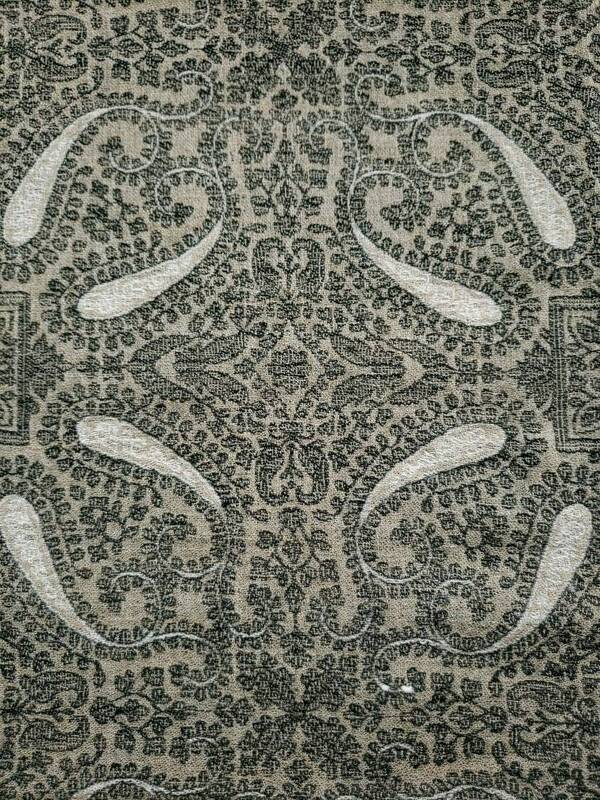 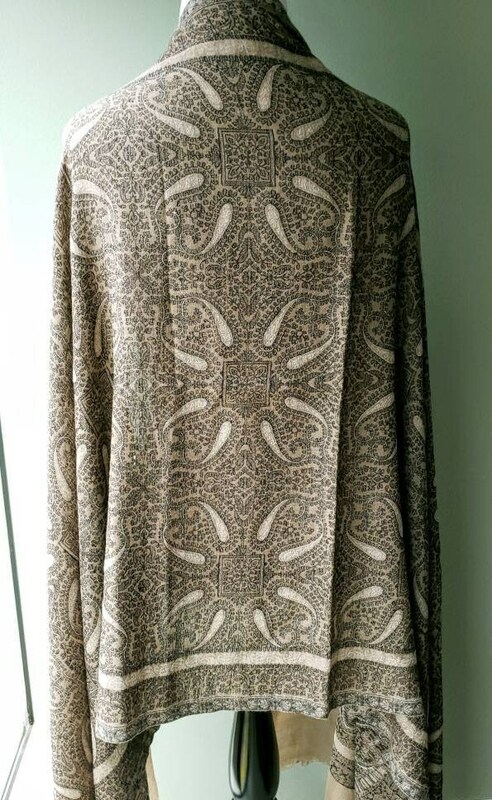 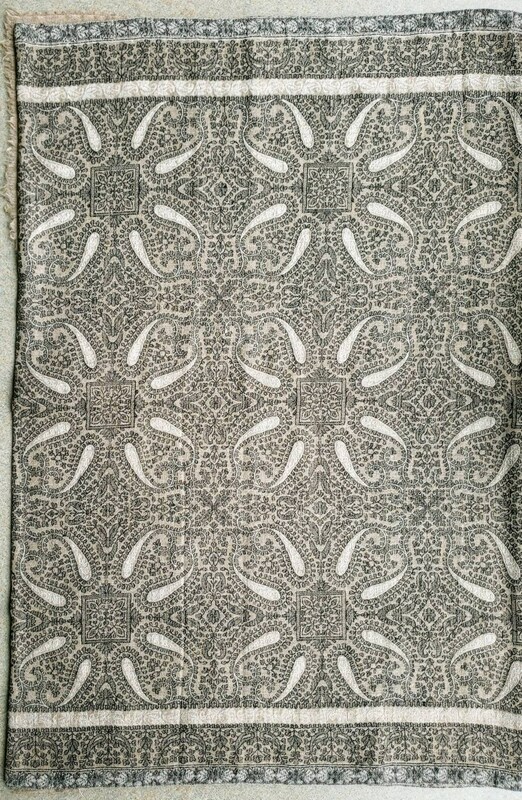 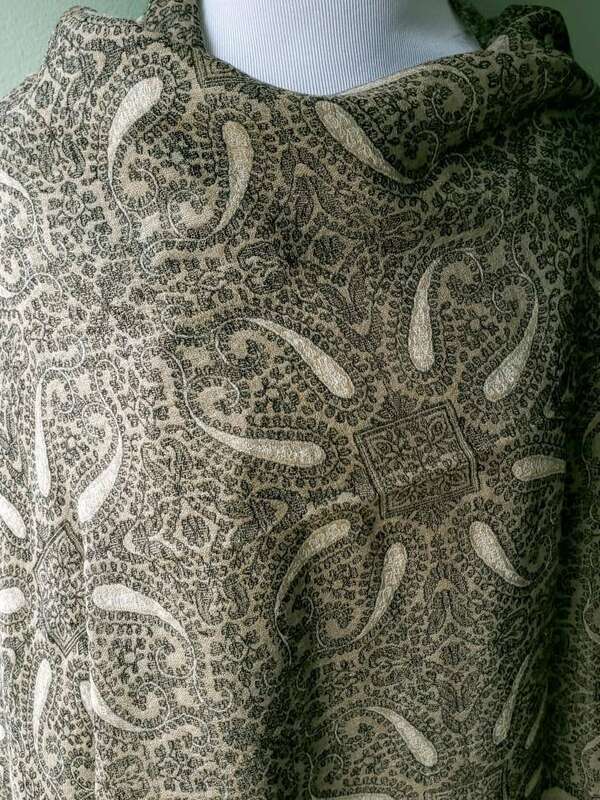 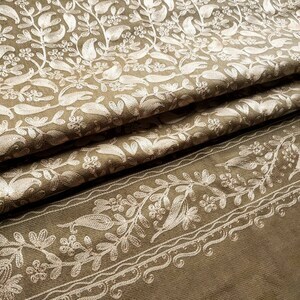 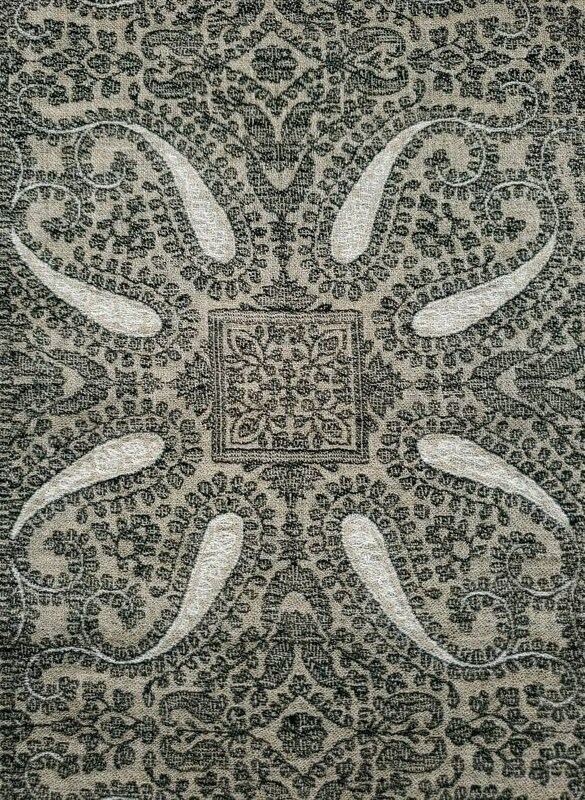 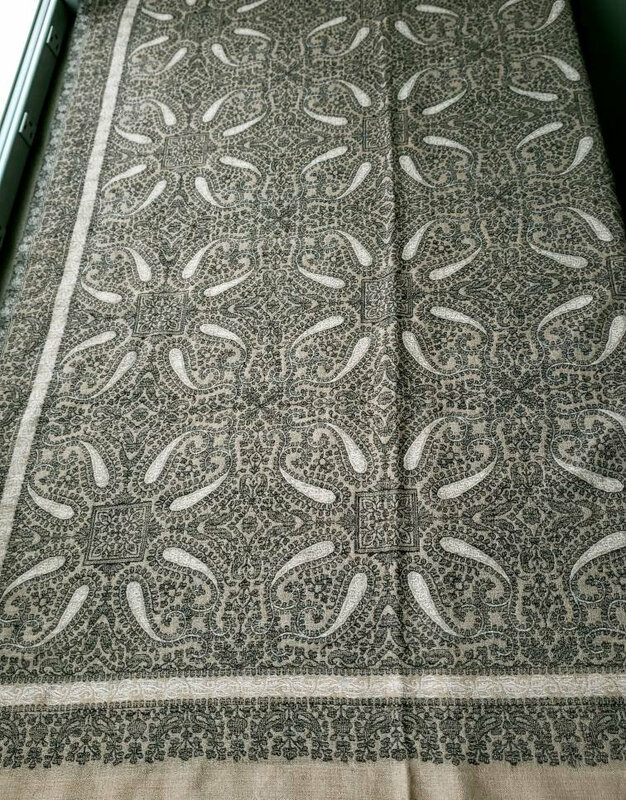 Elegant and stylish woven cashmere scarf in intricate exotic taupe and cream pattern with cream paisley accents. 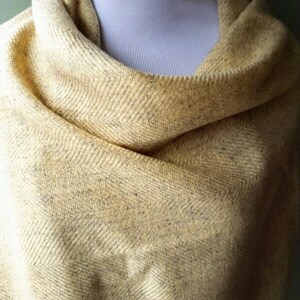 Exceptionally soft and lightweight and warm. 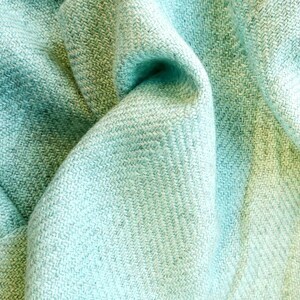 Lovely luminous quality to the shawl.